Millions gathered along a mile-long airplane runway used during the Korean War to hear Billy Graham preach. 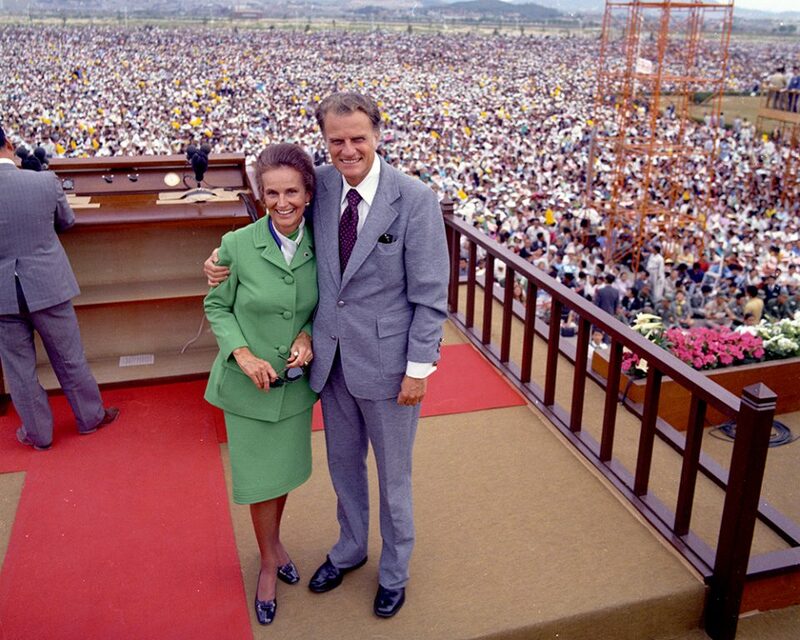 Here's Billy Graham with his wife, Ruth, in front of the crowd. Billy Graham Crusades have been held in 85 countries on six continents. 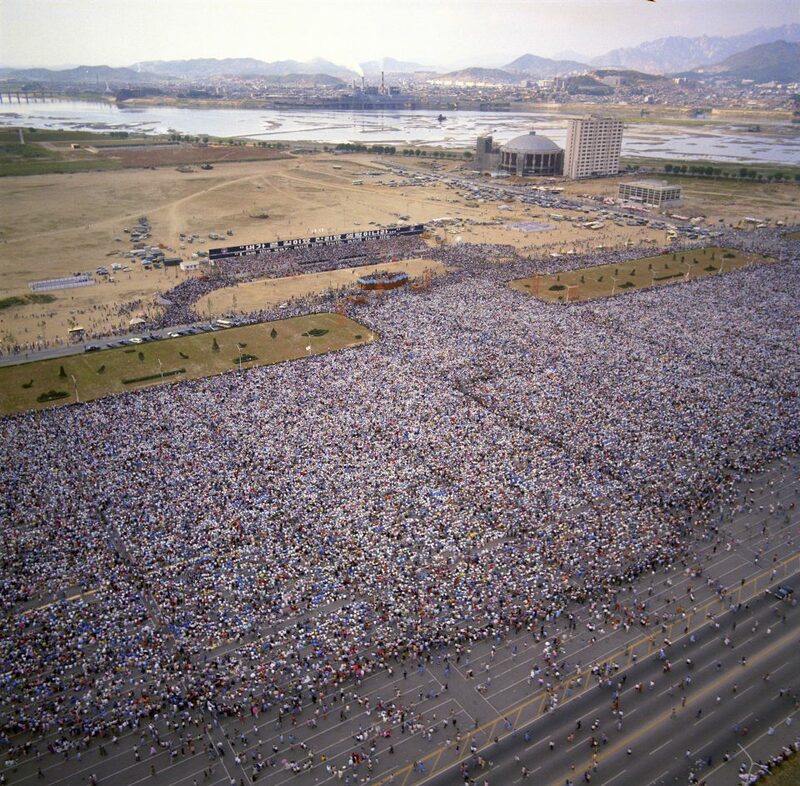 Mr. Graham's largest Crusade in the world was in Seoul, South Korea, with an estimated 1.1 million people in attendance on June 3, 1973. 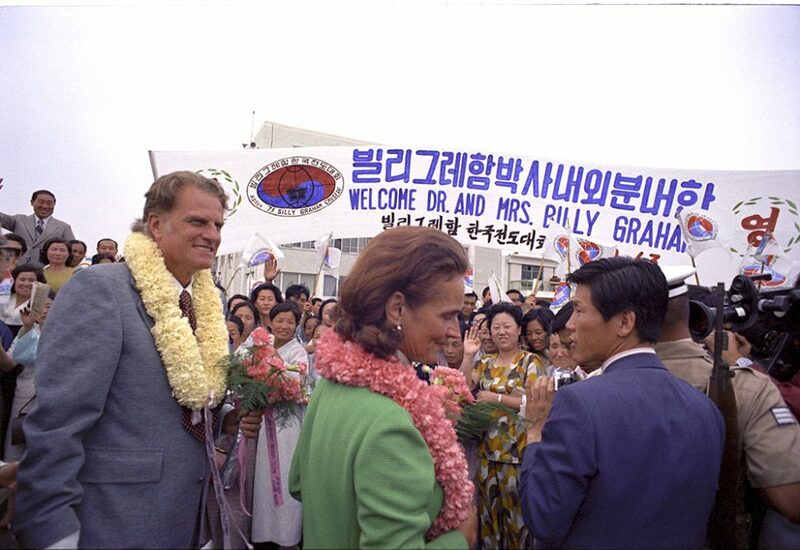 Billy and Ruth Graham are welcomed into South Korea. Over the course of the five-day Crusade, an estimated 3.2 million people heard the Gospel. 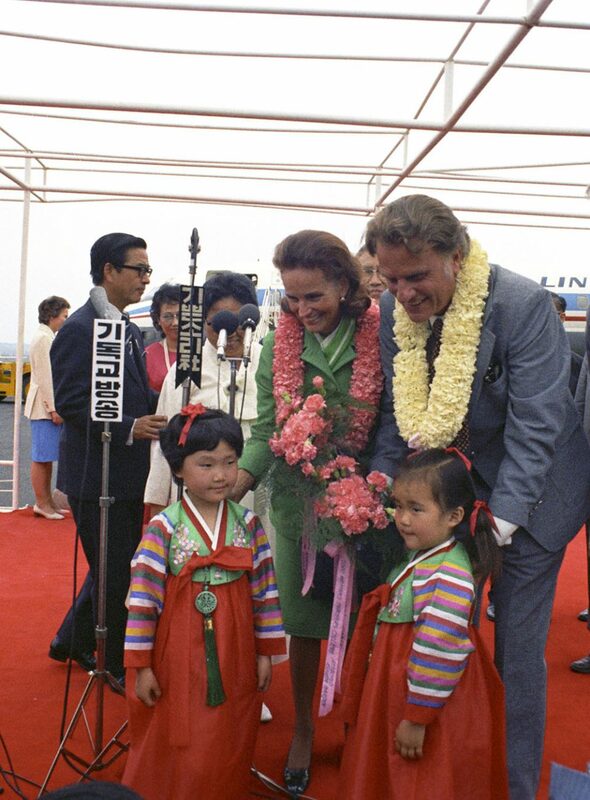 The Grahams spent time with the children of South Korea. Since then, a children's choir from South Korea, has regularly visited the Billy Graham Library. 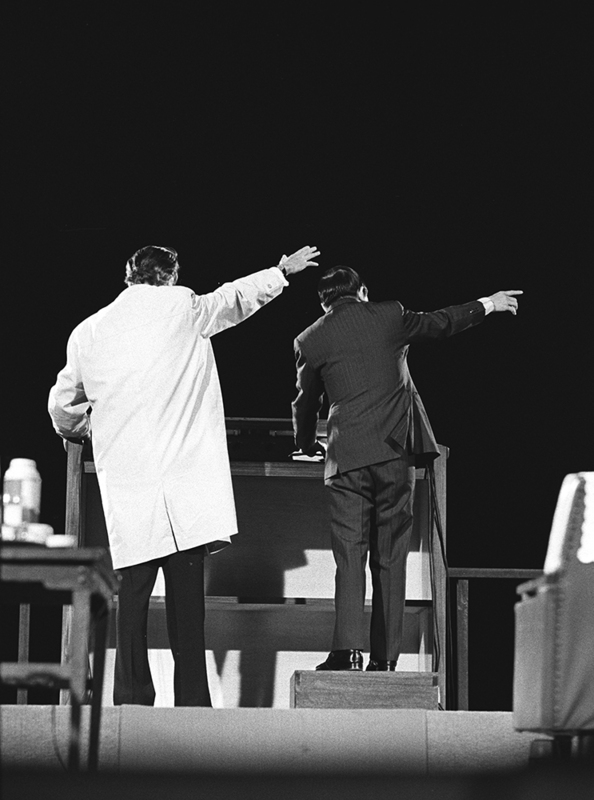 Billy Graham and his interpreter, Billy Kim, preach the Word of God to the masses.